A recent press meet with foreign correspondents in Delhi is likely to create a major sensation with its "revelation" that that Government of India’s ambitious Digital India project seeks to link mobile SIM cards with the unique identity number (UID) or Aadhaar, which has been "copied" from similar projects in Pakistan and Bangladesh. Talking with newspersons, Gopal Krishna of the well-known advocacy group, Citizens Forum for Civil Liberties (CFCL), said, "Following the footprints of Pakistan, Government of India set up Unique Identification Authority (UIDAI) of India in January 2009 for biometric identification of Indian residents." Giving details, he said, "One of the most successful examples of implementation of biometric identification is Pakistan. Even SIM card for mobile in Pakistan is done based on biometric identification. Pakistani authorities May 16, 2015 arecsaid they have authenticated 75.5 million SIM cards through biometric verification." 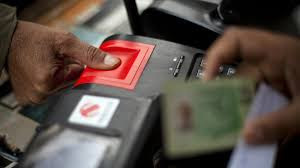 "In a related development", Krishna said, "On December 16, 2015 Bangladesh introduced mandatory biometric registration for all SIM card owners. With this new system in place, every mobile phone SIM card will be associated with its user's identity as it appears in the national identity card database of the Election Commission.Every SIM card owner will be asked to verify their identity by providing their fingerprint." Pointing towards who all are involved in the Aadhar project in India, Krishna named "transnational companies like Ernst & Young, L1 Identities Solution, Safran and Accenture", adding, "Ironically, these companies are taking the personal sensitive information for seven years and Government is paying for it." "The development comes close on the heels of the Cabinet approving the blueprint for the Digital India project. It will also provide "high-speed internet as a core utility" down to the gram panchayat level and a ‘cradle-to-grave digital identity - unique, lifelong, online and authenticable’ in the matter of Aadhaar Act", Krishna said. Talking with newspersons, Col Mathew Thomas, a defense scientist, said, “Putting the biometric and demographic data of all Armed Forces personnel into a database, which is accessed by foreign private companies, hands over the entire deployment of the Nations Defenses to foreigners." He said, “The Parliamentary Standing Committee on Finance has repeatedly said that UID is a threat to national security. The present National Security Adviser and a cabinet minister are on record on camera saying that UID is a threat to national security. Foreign firms were founded by former CIA and FBI officials and are contractors to US intelligence agents." Dr Usha Ramanathan, a jurist said, “Biometrics, unlike passwords or pin numbers, cannot be replaced. What is a person supposed to do if their biometrics get compromised? We know now that fingerprints, for instance, can be faked, that they can be `lost’ because someone `stole’ them, that they can become unusable because of a range of reasons, including that their work wears out their fingerprints or that working in the sun affects iris recognition."